MyGuardian Fleet Management service provides Fleet Management to Car Rental companies, Logistics companies, Cash Management companies, School Buses, Ambulance and all other Private companies that have a fleet to manage! 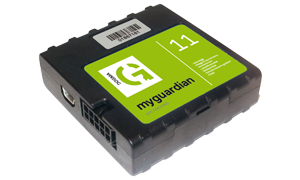 The locator MyGuardian is rich in function as it is specially designed to keep under control the fleet of your vehicles. Everything about the movement of the vehicle and the use made of it by the driver can be at your disposal. It works through the data-centre and Dogma Systems management software in the cloud. Check in a while if a vehicle is available or reserved. Quickly manage movement between locations, reservations or contracts, thanks to the easy and intuitive monthly planning. The system signals deadlines for coupons, stamps, revisions and insurance. Keep under control kilometers, fuel and any damage of your vehicles.